When I got married three years ago, my lovely cousin Brooke gave me a recipe box as part of my wedding gift. However, it wasn’t any ole recipe box….it was a collection of hand-written recipes from all of my close friends and family members. Each person wrote down their favorite recipe and a congratulatory message on a cute green notecard for me to read. Brooke’s idea was perfect….not just because I love cooking, but because each recipe card was so personal and meant so much to me! Thanks again, Brooke, if you are reading this! 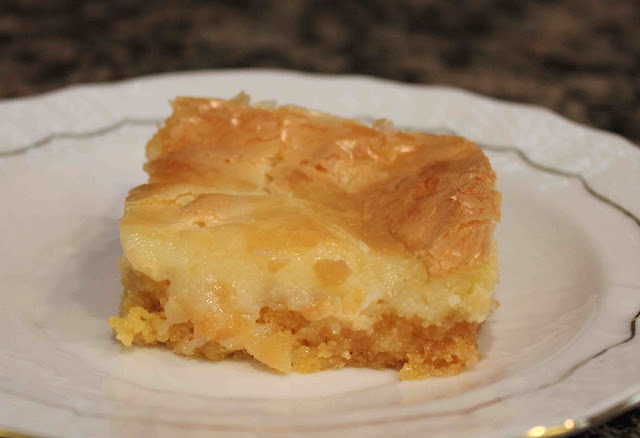 Now let’s talk gooey butter cakes! This cake has many names… Neiman Marcus cake, St. Louis butter cake, ooey gooey butter cake, etc. My dad LOVES the Neiman Marcus “named” version, but the recipe I am posting today is from my cousin Brooke. Anyways, I ate one of Brooke’s bars and was totally hooked! I think I even had two of them. Obviously, Brooke knew how much I loved these, so she wrote them up for my recipe box. Enjoy! 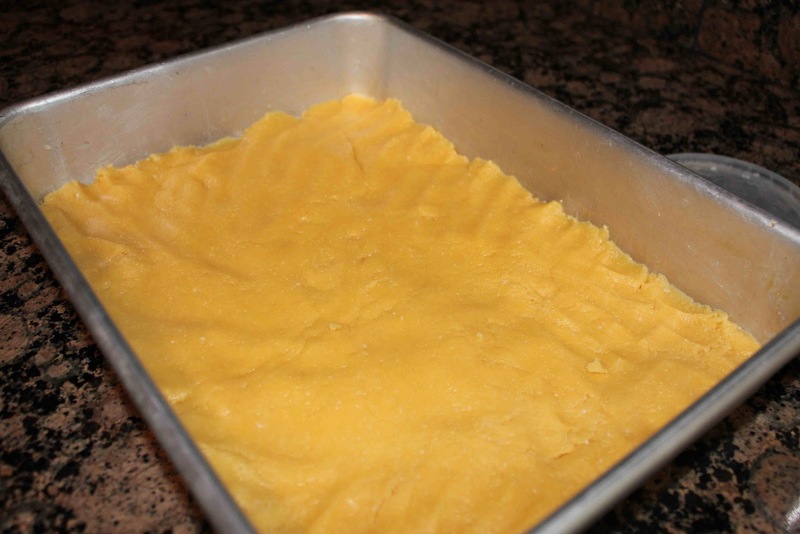 Combine cake mix, egg and butter and mix well. 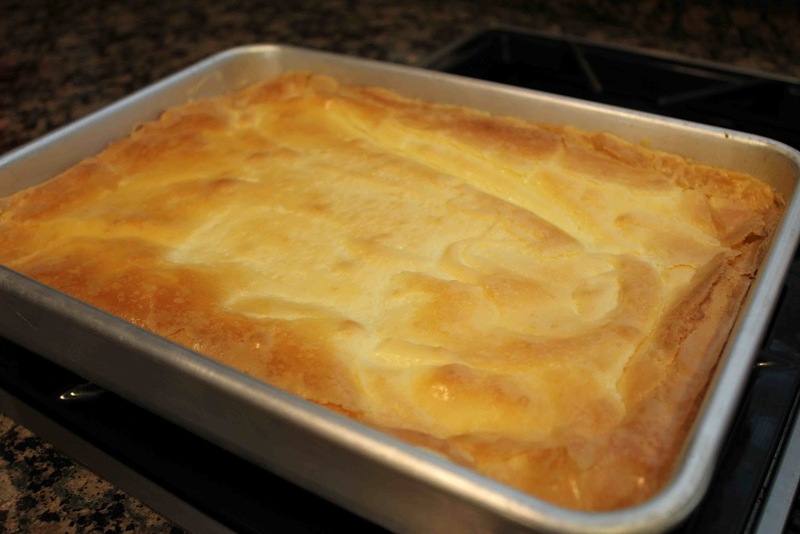 Press into a greased 9 x 13-inch baking pan. Beat cream cheese and butter until smooth. Add eggs, vanilla, butter and powdered sugar until combined. Let cool and cut into bars. Sprinkle with powdered sugar, if desired. 1. For the crust: Preheat oven to 350 degrees F. Combine crust ingredients and mix well. 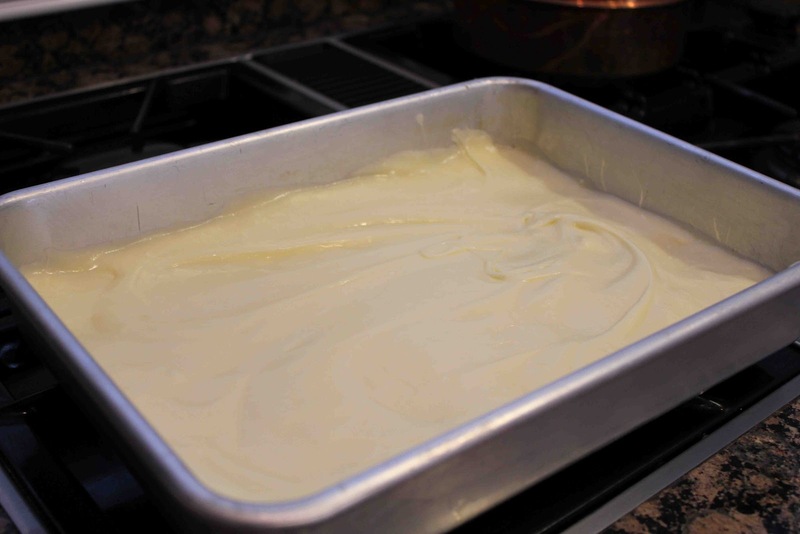 Pat into a lightly greased 9 x 13-inch baking pan. 2. For the filling: Beat cream cheese until smooth. Add eggs and vanilla. 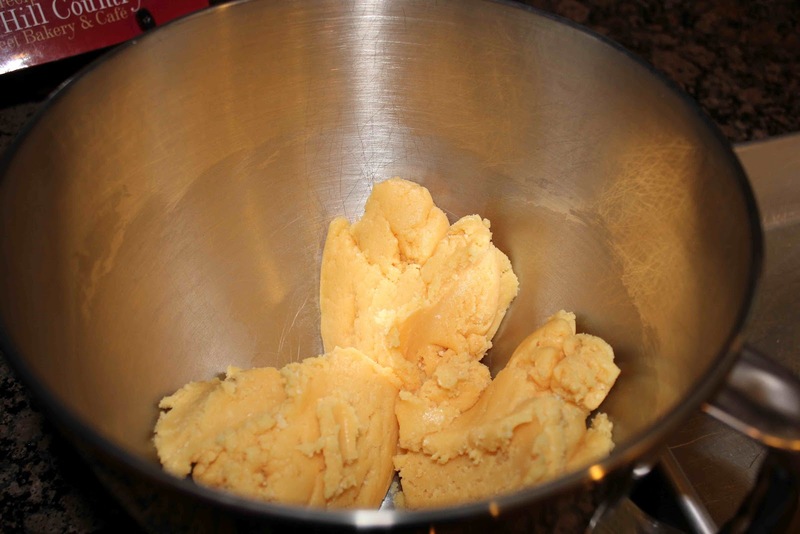 Add butter; beat. Add powdered sugar and mix well. 3. 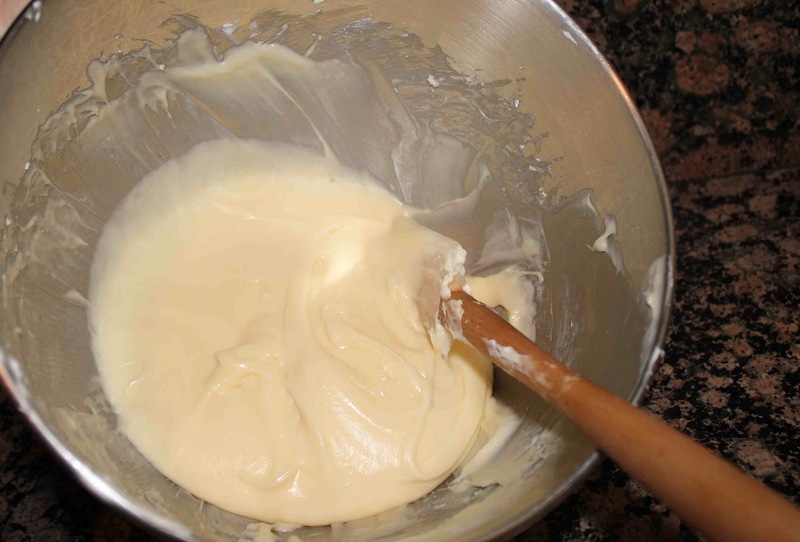 Spread over cake mixture. Bake for 40-50 minutes. 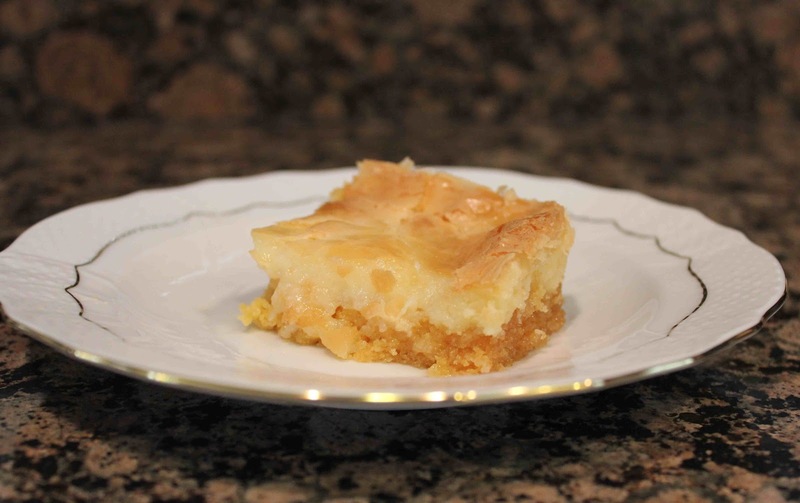 You want the center to be a little gooey, so do not over bake.